Published: Dec. 3, 2017 at 07:20 p.m. Published: Aug. 31, 2017 at 10:11 p.m.
New Orleans Saints cornerback Arthur Maulet forces a muffed punt from Ravens wide receiver Keenan Reynolds, with Maulet recovering the loose ball. Published: Aug. 23, 2014 at 11:01 p.m.
Indianapolis Colts wide receiver Josh Lenz muffs the punt, and the New Orleans Saints linebacker Todd Davis recovers. 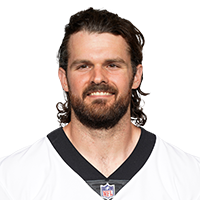 Published: Nov. 26, 2012 at 04:20 a.m.
(8:50) T.Morstead punts 47 yards to SF 12, Center-J.Drescher. T.Ginn MUFFS catch, RECOVERED by NO-R.Bush at SF 11. R.Bush to SF 11 for no gain (T.Ginn).